Dubravka Ugrešić is a Croatian writer living in Amsterdam, which, as she remarks, tongue firmly in cheek, “is just the sexiest thing ever.” Ugrešić is always the first to subvert her own glamour. Indeed, she has distinguished herself throughout her thirty-year career by refusing to accept the romance, by staring down nostalgia until it splinters apart like her former homeland. Another author might have left the statement end there, eager to cast himself (it is usually himself) as a rebellious hero, the champion of truth and justice in the face of tyranny. Ugrešić has no such illusions. She instinctively attacks self-righteousness, above all in herself. Her explanation of why she left is true, she says, even though she knows it “rings a little phony, like a line from an intellectual soap opera.” Some of that has to do with gender: a man, perhaps, could speak those words with a straight face; men get a “free pass” to “autobiographical kitsch.” For a woman from a minor literature, however, crossing the border means finding yourself in a “literary out-of-nation zone,” which Ugrešić calls the ON-zone. The truth, predictably, is harsher and more interesting than that. There is no such borderless utopia; all books, Ugrešić asserts, have to go through passport control. Furthermore, the few transnational authors that exist are the market’s enemies, not their darlings. Ugrešić’s books, some of the funniest, sharpest, most insightful pieces of cultural criticism being produced today (to say nothing of her beautiful, often heartbreaking novels), deserve to be unqualified successes. Instead, they are literary vagabonds, reliably prompting admiration in those poorer, dreamier sorts of people, and distrust in those with money. Europe in Sepia, Ugrešić’s latest book to appear in English, is a diagnosis, too. The twenty-three essays in the collection investigate various forms of crisis (“crisssisss,” she writes, “the word buzzes among the old theatre walls like a pesky fly”), becoming a catalogue of the madnesses, ironies, and tragedies of the global age. Whether discussing politics and culture, nostalgia and memory, or women in literature, Ugrešić proves that she is not only an excellent prose stylist, but a rigorous thinker as well. With a novelist’s talent for anecdotal illustration, she exposes the symptoms and causes of the current western malaise, wasting no time in condemning those who perpetuate suffering in the name of progress or profit. Like most writers worth listening to, Ugrešić has a great deal of intelligence and very little traditional power. Her observations are therefore tinged with “the suspect joy of a failed suicide,” that comical despair one finds in a Dostoevskian hero who feels pain a little too sharply, whose sense of hope is as unwarranted as it is unshakable. 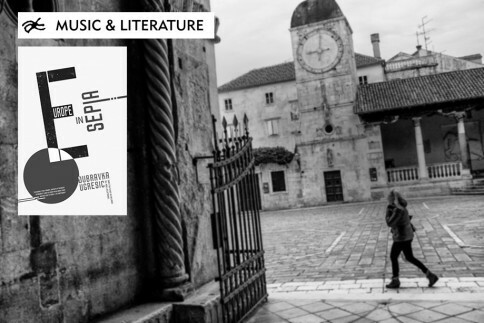 The essays are divided into three broad chapters: the first, “Europe in Sepia,” is the most overtly political, taking on nationalism, nostalgia, the former Yugoslavia and contemporary Croatia. The second, “My Own Little Mission,” turns away from grand narratives to focus on individual, bizarre features of our world: the vandalism unleashed upon a certain statue’s umbrella, for example, or the “eco-friendly” practice of liquefying the dead. The five essays in the book’s final chapter, “Endangered Species,” are perhaps the most personal in the collection. They deal with the writer’s life—or what has become of it in the age of “marketing angles”—with women, and with the out-of-nation zone. In fact, though I described these essays as “personal,” the adjective is misleading. The personal, as we know, is political, and the issues Ugrešić approaches from within her own life — the erasure of women from literature and history, the lack of a women’s canon (and the difficulty of constructing such a canon in the first place), the daily instances of professional discrimination—remain deeply and terribly relevant, not only to women, and certainly not only to writing women. Though each chapter hangs together only loosely, Europe in Sepia as a whole is remarkably cohesive. An idea sounded in one essay is sure to echo in another, reinforcing each individual theme and emphasizing its connection to the others. Yugoslavian nostalgia, pop culture fads, and the fate of the writer are, to Ugrešić’s mind, inextricably linked—by their relevance, perhaps, both to her own life and to what Europe has become today. These issues have shaped her writing for decades; their importance and interdependence endure, so that very often, an essay that begins with politics will end with Twitter, and another that begins with Wittgenstein will end with politics. Each category of concern permeates the others, and the distinctions among them are always temporary.